Godolphin trainer Andre Fabre is still looking for answers for Talismanic’s poor performance at Longchamp last month as he attempts the G1 Breeders’ Cup Turf double with the five-year-old at Churchill Downs, USA, on Saturday, 3 November. Talismanic was superb as he fought valiantly to beat Beach Patrol and Highland Reel in last year’s Turf at Del Mar. He then ran right up to that form when second to Highland Reel in the G1 Hong Kong Vase at Sha Tin in December but the globetrotter was recently disappointing when 13th of 19 behind Enable in the G1 Prix de l’Arc de Triomphe. 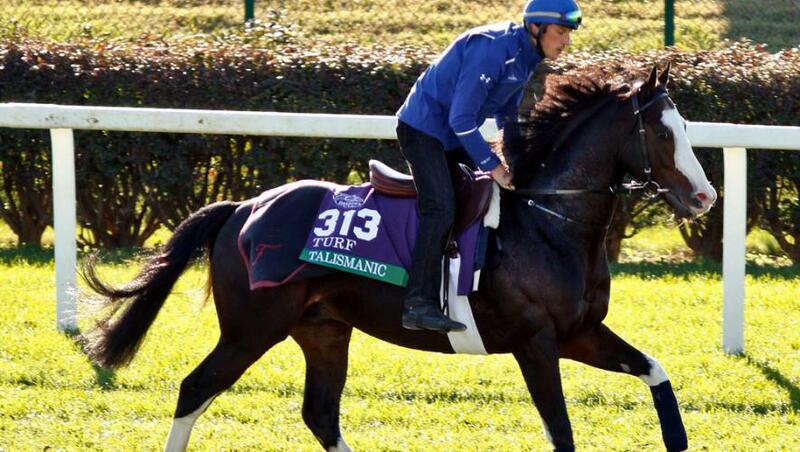 Fabre, who has a high opinion of Talismanic, said: “The horse appears well in himself and I am hopeful of a good run. “The challenge is different this year, with the competition, track conditions, and his perplexing latest race all making us less confident, but nonetheless hopeful,” the trainer pointed out. Enable is attempting to register her ninth consecutive win, 27 days after a courageous second Arc triumph in Paris. The Fabre-trained Waldgeist, who finished fourth in the Arc, remains a big danger in the 13-runner field.